^ Encyclopædia Britannica Online. Benjamin Franklin. Encyclopædia Britannica. [2009-08-25] （英语）. ^ Encyclopædia Britannica Online. Charles-Augustin de Coulomb. Encyclopædia Britannica. [2009-08-25] （英语）. ^ Hofmann, James R. André-Marie Ampère. Cambridge University Press. 1996. ISBN 0-521-56220-1. OCLC 34723577. ^ Encyclopædia Britannica Online. 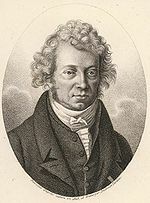 André-Marie Ampère. Encyclopædia Britannica. [2009-08-25] （英语）. ^ Encyclopædia Britannica Online. Michael Faraday. Encyclopædia Britannica. [2009-08-25] （英语）. ^ Encyclopædia Britannica Online. Heinrich Friedrich Emil Lenz. Encyclopædia Britannica. [2009-08-25] （英语）. ^ Encyclopædia Britannica Online. James Clerk Maxwell. Encyclopædia Britannica. [2009-08-24] （英语）. ^ Francis Everitt. James Clerk Maxwell: a force for physics. physicsworld.com. 2006-12-01 [2009-08-25] （英语）. ^ 16.0 16.1 16.2 Project Gutenberg. Five of Maxwell's Papers by James Clerk Maxwell. Project Gutenberg. [2009-08-25] （英语）. ^ Encyclopædia Britannica Online. 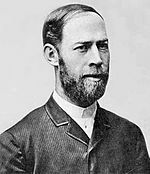 Heinrich Hertz. Encyclopædia Britannica. [2009-08-25] （英语）.